Join us on May 4, 2018, 6:30-8:30pm, for a LAB literary reading by the Queens Writers' Lab. 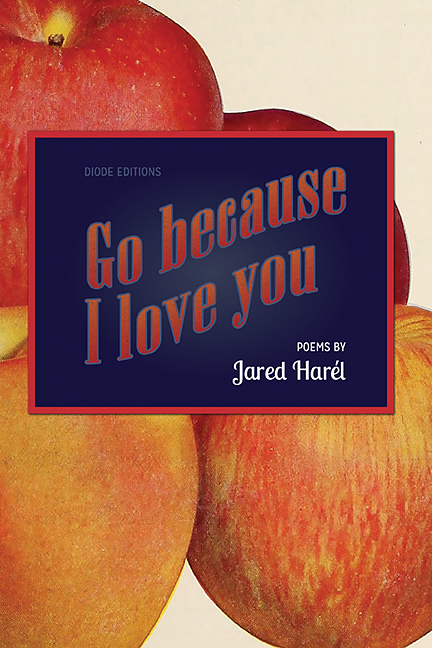 The collective's Jared Harel recently published a book of poems entitled "Go Because I Love You." We spent a little time picking Jared's brain on what it was like to prepare for the process of publishing his book. How would you describe the life of a writer in NYC? I’m not sure I’m qualified to describe the life of an NYC writer. There are so many of us. So many lives. What I can say is that being a writer in this city puts me near so many other writers, and readings, and museums, and culture. Of course, that can be a double-edged sword, having so many deliciously-tempting distractions just a subway ride away. Sometimes the best thing for a writer is a laptop, a stack of books, and an empty afternoon. What impact has living in Queens had on your work? Living in Queens has had an incredibly positive impact on my writing, but also on my life, and the life of my family. I’d mentioned in a previous interview how Queens residents are united in our diversity. These differences between us means that no one is other, which is a wonderful and lucky thing. More specifically, over the past few years, the Queens literary community has taken leaps forward. Thanks to QCA, Newtown Lit, three independent bookstores and a whole bunch of great writers and reading series, Queens has become a very writer and reader-friendly borough. I had no master plan while writing the individual poems in this book. Still, I’ve come to view my poetry collection, ‘Go Because I Love You’ as a book of arrivals and departures. I think the book title speaks to this tension between love and loss, and how difficult it can be to make this world (and the people we love in it) stay. Certainly, it’s a book grounded in interiors: the domesticity of childhood and parenthood, and it builds out from there. One of the things that startled me about becoming a father was how absolutely terrifying it can be. Suddenly, every street and staircase and string of spaghetti can seem downright hazardous, and this fear of losing that which I love is a theme I’ve noticed in my work. What is something that you hope people who read your book will walk away with? I write to the dictum that specificity is universal, and that one’s personal experiences, if rendered in an honest, articulate manner, might resonate with others. That isn’t to say that everything in my poems “happened to me”, but I do try to make sure that my work is genuine and written with sincerity. So, I guess my hope is that people connect with the book and find something of themselves in it. I also hope readers find aspects of the book funny, even if that humor is backlit by something more serious. The poetry world could use a bit more humor. What was the hardest thing about writing and finishing your book? Oh, everything about poem-writing is hard for me! The poems themselves. Finding the time to write them. Finding the time to write poorly, so that I can eventually dig through to the good stuff. I’ve always been envious of writers who seem to bang out page after page of good work. Being a parent to two small children has helped me become a more efficient writer though. The next impromptu art project or scraped knee emergency can strike at any time. What advice do you have for other emerging writers who would like to have their work published? Be persistent. Don’t send out work until it’s ready, but once it’s ready, don’t sit on it. Read widely. Aim to get a sense of what journals and presses might be a good fit for you. Also, I find that the part of my brain that’s good at poem writing is NOT the same part of my brain that writes cover letters and organizes spreadsheets, so I aim to send work out over a short period of time, maybe a week or so. Then I get back to the more interesting stuff. How has QCA helped you? QCA has been a great friend to my work. I mentioned earlier that finding time to write can be a major hurdle as a parent, so being awarded QCA’s ‘Individual Artist Grant’ in 2015 really gave me the financial support to complete the project that is now my full-length collection. Further, QCA is a fantastic resource for Queens artists, and helps to foster a community between us. It’s through QCA’s ‘Artist Peer Circle’ that I met some of my very best readers and writer-friends. What began as a one-year peer circle commitment is now in its fourth year of meetings, workshops, LAB readings and support.